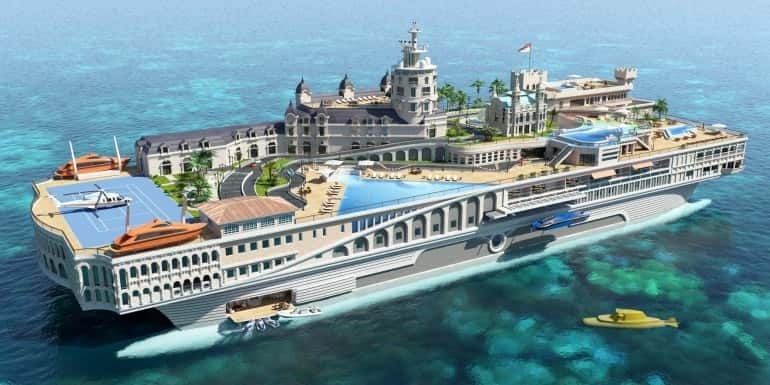 This Luxurious Island Yacht Design Concept is a truly magnificent example of creative design It was designed by a UK firm named Yacht Island Design Ltd. 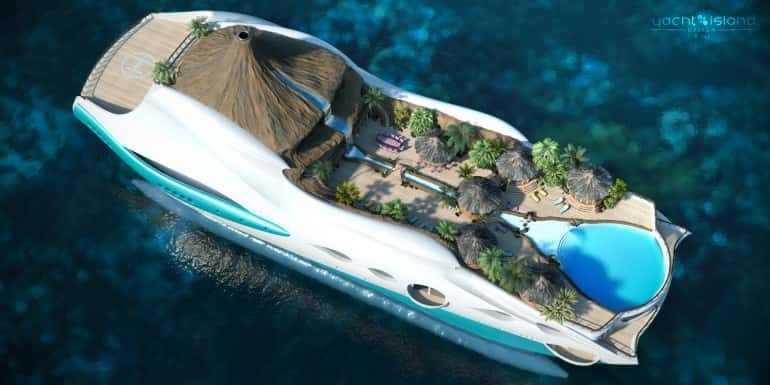 The idea behind the concept is to combine a tropical island with a luxury yacht. 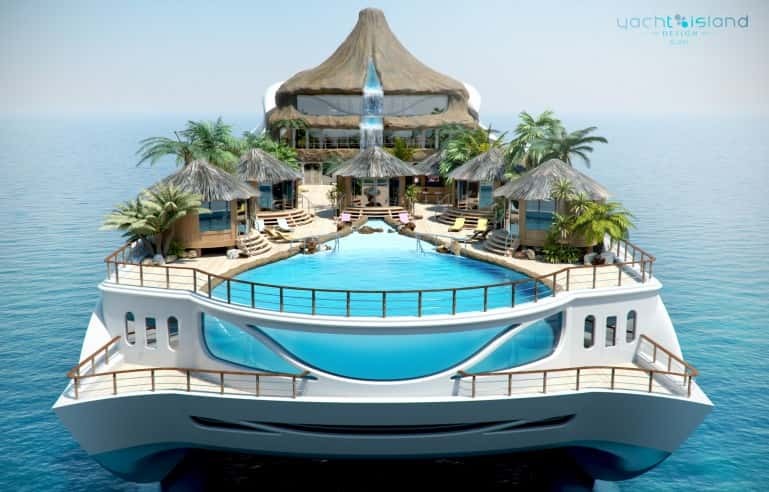 It incorporates island features such as bamboo huts with modern comforts and luxuries. 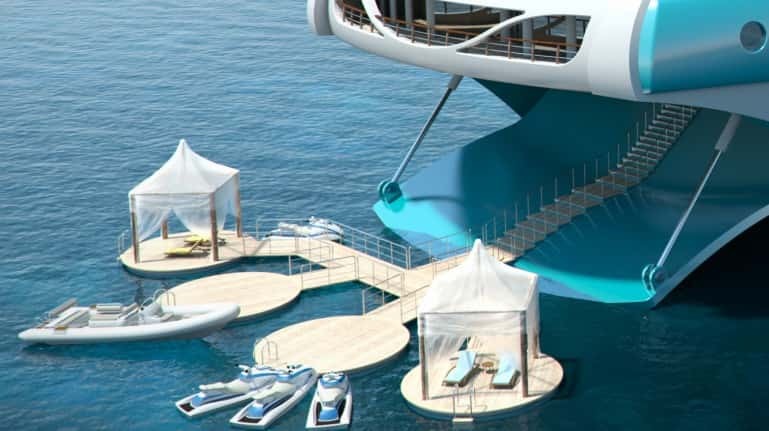 There is also a beach deck which would allow certain popular water sports. Indoor entertainment includes cinemas, a games room and a library. 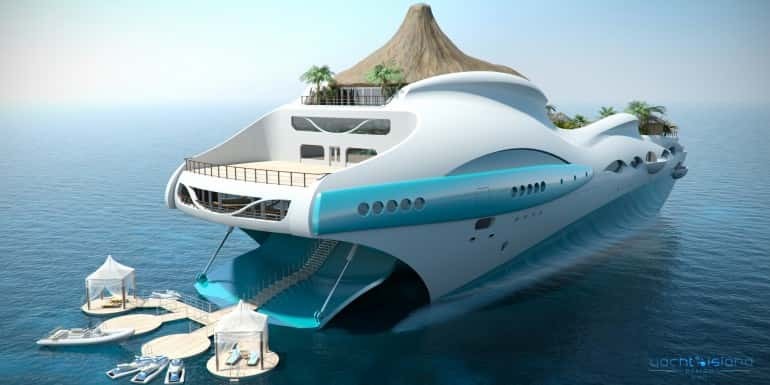 Holiday luxuries such as fine dining and a fully equipped gym are also included in the design. 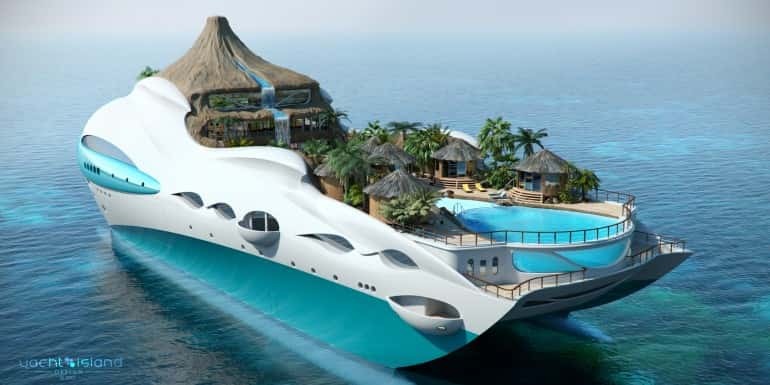 It is like a moveable island. 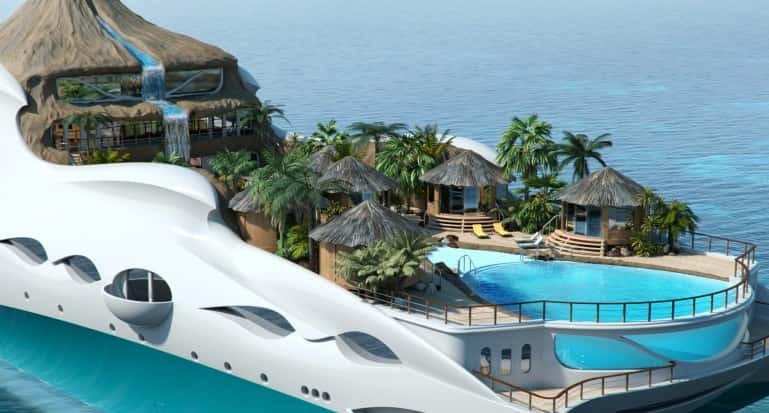 In order to recreate a natural island feel the yacht features a waterfall, a mountain stream and a beautiful valley pool as well as a replica volcano.